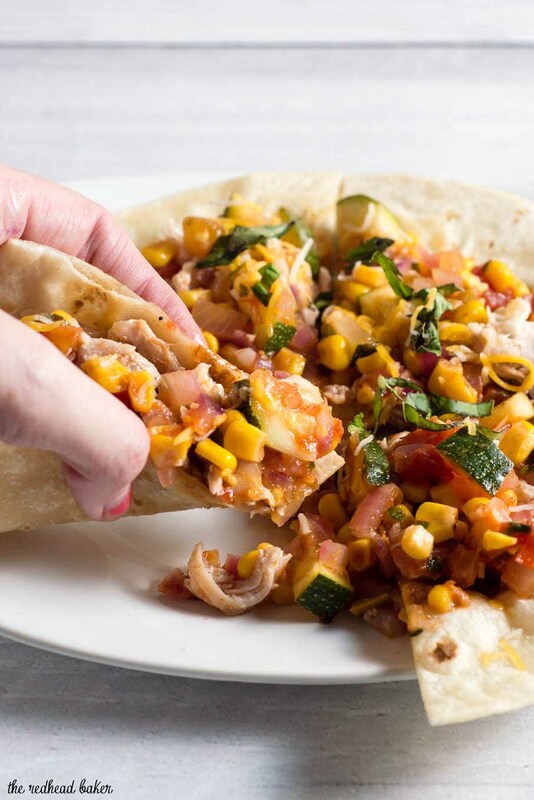 Chicken and summer veggie tostadas are loaded with lots of fresh farmers market vegetables and herbs. It’s a healthy meal that’s easy enough for any weeknight! 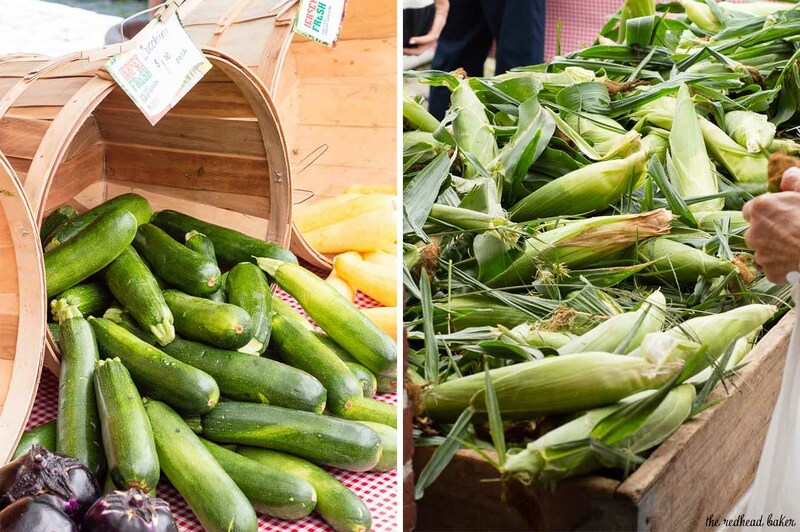 Today’s #FamersMarketWeek recipe has been a family favorite for a few years. I can’t believe I haven’t shared this recipe with you before now! 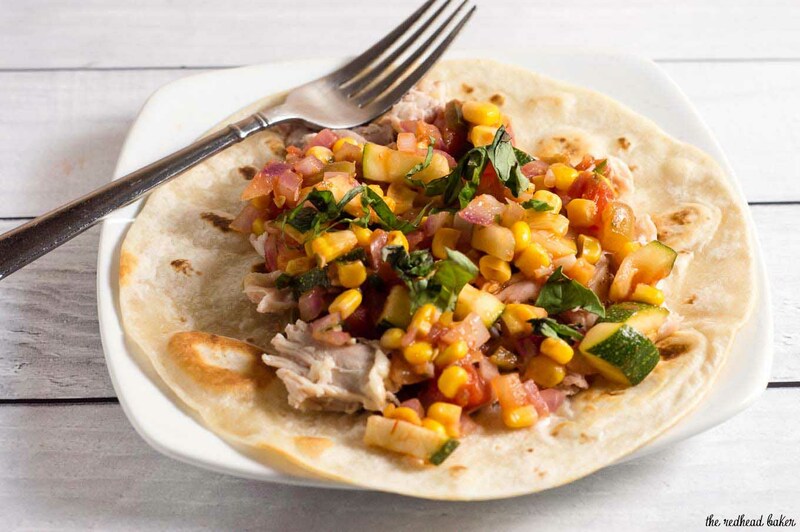 It’s delicious, it’s healthy, and it’s ready in 30 minutes. Tostadas are typically deep-fried tortillas topped with beans and/or meat, vegetables and cheese. 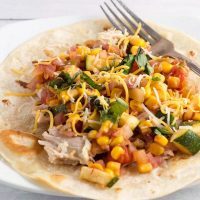 These tostadas are lightly pan-fried in a thin layer of oil, just enough to crisp them up, then topped with chicken, loads of veggies and a light sprinkle of cheese. Start to finish, this is a really easy dish to prepare. If I want it to take even less time, I prep the veggies a day ahead of time, and use leftover chicken, or a store-bought rotisserie chicken. If you like them, you could even used canned black beans. I also change up the veggies that I use on the tostadas — sometimes yellow squash or eggplant instead of zucchini, fresh tomatoes instead of salsa, salsa verde instead of traditional salsa, add bell peppers, diced or shredded carrots … the combinations are endless! These tostadas are so easy and delicious, you hardly realize you’re eating something healthy. Each serving is about 510 calories and about 24 total grams of fat. 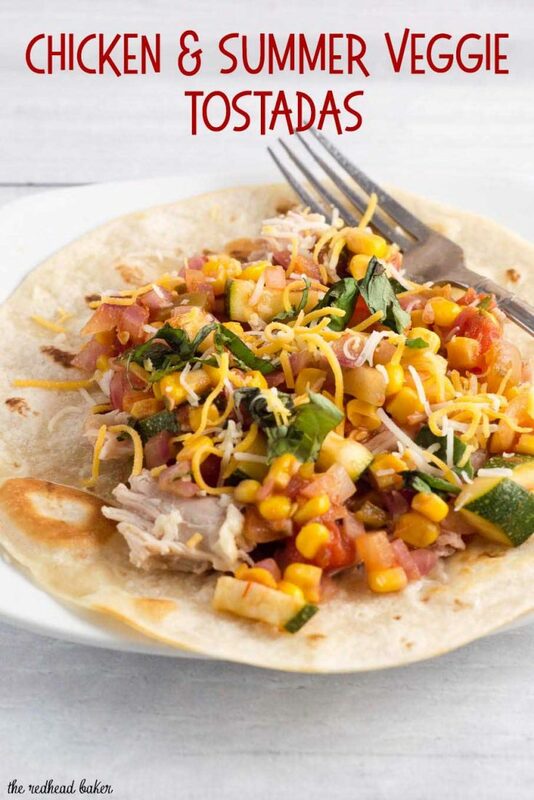 If you’re trying to limit your fat intake, you can use fat-free tortillas and reduced fat shredded cheese. Depending on how much filling you like on top of your tostada, you may end up with extra filling. 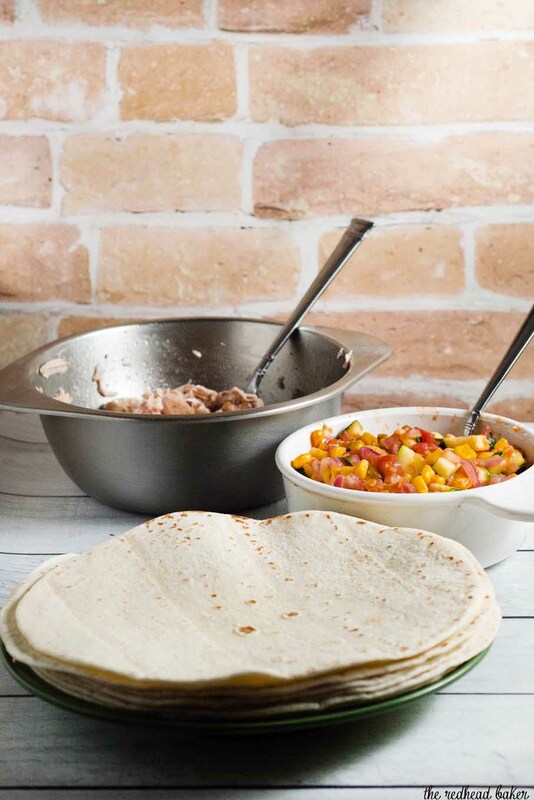 You can have tostadas a second night, or turn them into other Mexican dishes like quesadillas, tacos, or burritos. Or you could put the filling on top of a bowl of lettuce or baby spinach and have a filling lunch salad. Preheat oven to 425 degrees. Line a baking sheet with tinfoil. Season the chicken thighs with salt, pepper and the cumin. Arrange in the baking sheet, and cook for about 20 minutes (until they reach an internal temperature of 165 degrees). Remove the chicken to a bowl and shred with two forks. Set aside. While the chicken is cooking, heat about 2 tablespoons of canola oil in a large skillet over medium heat. Add the garlic, cook for 30 seconds. Add the onion, corn and zucchini to the pan, and cook for about 4 minutes, until the onion is translucent and the zucchini is fork-tender. Transfer to a large dish. Wipe out the skillet. Heat another tablespoonful of canola oil in the skillet over medium-low heat. Add one tortilla, and toast for 1 to 2 minutes, then flip and toast another minute. Remove to a serving plate, top with some of the chicken and some of the vegetable mixture. Repeat with remaining tortillas. Garnish each tostada with about 1/4 cup of the shredded cheese and basil, cut into quarters, then serve. Nutrition facts were calculated using MyFitnessPal Recipe Calculator, and are an estimate only. For more precise information, consult a registered dietitian. I’ve never made tostadas at home, but I need to start. Yours is just one of several recipes I have bookmarked, but I love this one because of all of the fresh veggies. And so easy to customize to my family’s different tastes! These look absolutely delicious! I can’t wait to make them for dinner!